Just a few days ago – a fun game of UpWords…”ok Dad. The dictionary agrees with you. ‘Moil” is a word.” You are right again! Thou hast given us the heritage of those who fear the Lord. Today my dad is in heaven. After being ill just one day, he is gone. He loved his God and he loved preaching. In short -  He Loved.The.Ministry. Today I remember a writer I discovered a few years and and one of his poems, entitled "I Teeter on the Brink of Endings." The closing lines put into words how this grateful daughter feels today, as one of the recipients of that heritage - and as she transitions from this intense season of caregiving. so the timeless may take hold of me. from Guerrillas of Grace by Ted Loder. CategoriesCaregiving for Elderly Parents aka "Blessing Journey"
So sorry to hear about your father but I agree… Well done is surely on the lips of our savior! Beautifully written! My mother, Betty F. Miller and I extend our deepest sympathies to you at this time. We all know the time comes sometimes sooner and sometimes later! For Betty, it will be later! I remember your father very well as we attended Marietta Church and he came back to preach and for special missions conferences. His compassionate heart really shows in the photo with our dear Esther Mae Hiestand. May God give you the Grace and Strength to continue the journey without him! Blessings to you and Galen! thank you so much for stopping by Phyllis. the service yesterday was such an encouragement. I learned things about him I didn’t even know . . . stories of what he had done for people. we will be back in PA for a memorial service – details to be announced in a few days as soon as we know what we are doing. Carol, you and your family have been such a blessing to know. I am so grateful to have most recently spent time with your dad when we had lunch together. What a lovely man and so clearly one with God. Your quote of grief and gladness is so appropriate. I send you hugs and prayers and all of God’s blessings. This is beautiful, Carol. Praying for you! I’m sorry work will keep me from the memorial service. I hear “well done” as you tell of your fathers passing. Praise God for the legacy He’s left behind and for the grace found, even in his passing. Special prayers for peace as you process this transition. I am sorry for you loss Carol. Bleesings to your family. Even though I grew up around your family, I never got to really know your father. Over the years I have heard my dad comment about Harold in loving and glowing terms– I know he respected and admired that ‘spirit of ministry’. And that is really all I need to know. He loved his family and he loved his Lord. I share your sorrow and your joy. How good to hear from you, Don. I love that about Facebook. Finding old friends You are a part of my teenage memory bank - long live the "real" Smothers Brothers." You and Stan were quite impressive. Dad traveled a lot. In later life life he said he sometimes he wished he could have figured a different way to do life. I read Micah 7:8 this morning & it seems fitting to share His words with you: “…For though I fall, I will rise again. Visiting from The Weekend Brew & praying for you as you celebrate your beloved Dad. What a beautiful legacy he has given on earth. Praising & holding hope for when you see him again. May his memory be eternal. Larri. I was nice to have you visit and thank you for the scripture. I am so glad it is true. I went over and looked around your site. interesting and almost made me want t o swe again. I think if i had girls i would have kept it up. Our sympathy, love and prayers are with you. Your dad was a wonderful man, and you will have no regrets having cared for him 24/7 the past few months. Bless you for all the sacrifices you made. He is rejoicing now with your dear mother in glory. We love you and will be with you in thought and prayers this week,. Jeanie and LEe. Thanks for visiting here. He is with my mom, yes and his three children. I can smile now when I say “i am the odd one out!” for now anyway Hopefully we will be able to get together soon. love you, dear longtime friend. Even though I did not get to spend much time with your dad, he left a Godly impression on me. I’m grateful to be a part of the family and look forward to reuniting with everyone, alongside, Jesus someday in Heaven. LInda, thanks for visiting here. I am glad too you are a part of the family. I think I met you at Uncle Mervin’s memorial service and I remember I enjoyed a connection with you. wouldn’t it be nice if families weren’t so scattered! It is hard to be a caregiver and watch a parent grow old and eventually die. But, I am reminded of the verse in Romans 14:8…”Whether we live or die, we belong to the Lord.” One of the greatest blessing of our inheritance is that our parents settled that issue years ago and demonstrated to us what it means to belong to God. It is comforting to know that our loved ones (and that list is growing) belonged to the Lord and are now secure with Him. We look forward to the greatest of family reunions in the future! We identify with your mixed feelings in saying goodbye to your Dad; joys and sorrows mingle. Joy, because there was no long and painful end of life, sorrow, because there will be no more Up Words games! Sorrows/joys. The big joy is we know he is at a better place and that is what counts. You and Galen shared responsibilities equally, and for this we are very grateful, to you both, for your faithful care of my brother. yes, my husband is a jewel – a hero – and I am so grateful for his loving care of my dad/your brother. You and I are the only ones left in our families. I am glad we still have you, dear Aunt Lois. I taste the mixture of feelings in your blog. It hurts when a loved one goes to the other side of Life. He lives. He lives forever and has now come home, where his Saviour was waiting for him. I will pray for you. I am so sorry for your loss. What a blessing that He knew and love the Lord with all of His heart. Hugs! This is so beautifully written, it brings tears to my eyes. What a poem and what a dear and faithful man we are remembering. Carol, you and Galen have honored him well. I have felt God’s presence and since we are not rushing to do a quick funeral (next week is memorial service) I am able to take time to be still. It is good. So sweet! 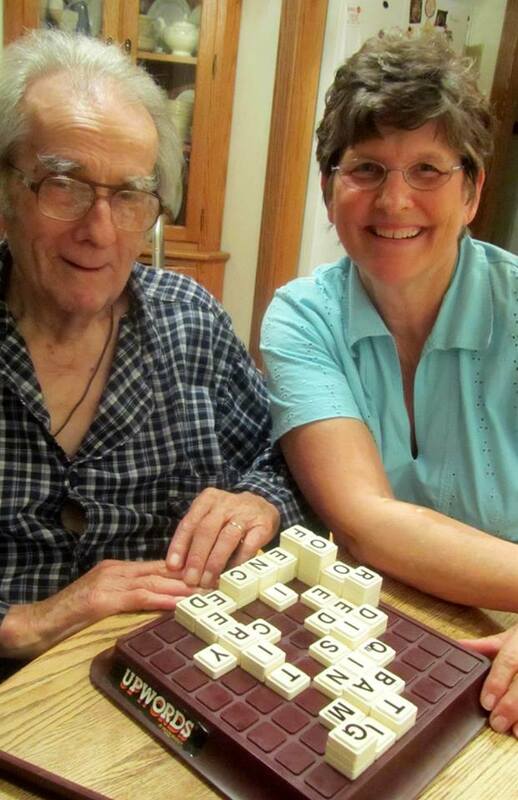 I love Upwords, but even more legacies left by those who love the Lord. Such a sweet gift to us that you shared your memories with your dad. Jolene, thanks for visiting here. Seems like days ago this all happened. It has been good to not have to rush since the memorial service is not until next week. I have had time to just be alone, time to reflect…I did jump over to your blog and would like to spend some more time there in the future. 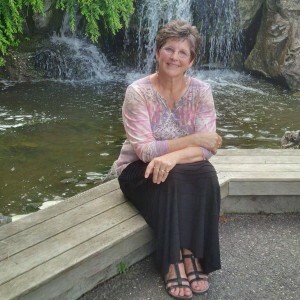 Carol, praying for you during this time of letting go….love you!! Dear Carol, I feel your grief today and can understand the “letting” go for the final good’by!!! I’m so thankful that your daddy wasn’t sick long and that you have that memory of your last game with him a few days ago. In writing about your daddy’s love of his ministry, I’m reminded again of our rich Godly heritage and give thanks to God for it!! May you find much peace, comfort and strength for the days ahead. You are in our prayers!!! dear cousin Mim. You have been so supportive and kind through these past months. blessings on you as you go into your new venture of moving. and thankful with you for the Godly heritage we have.